Granola or mini chocolate chips, raisins, nuts, coconut, cinnamon, etc. Wash and cut apple into slices. Core the apple with an apple corer or a small cookie cutter. 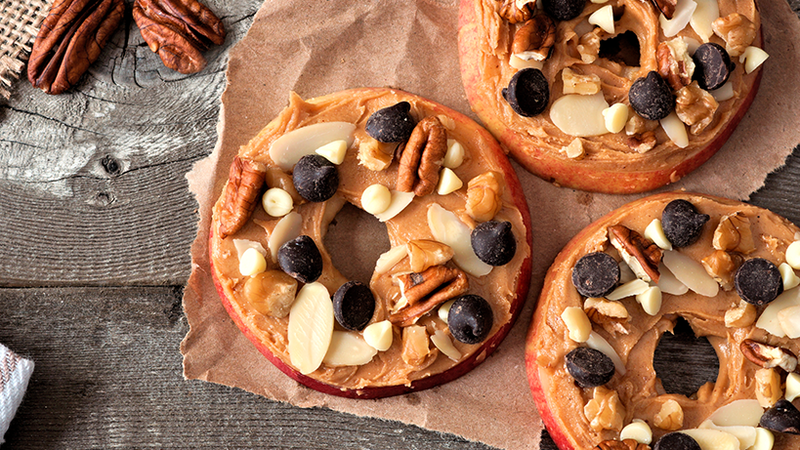 Spread peanut butter or chocolate spread on the apple slice. Sprinkle with granola and chocolate chips. Note: If you want to pack these in a lunch box, brush each apple slice with lemon juice to keep it from turning brown.